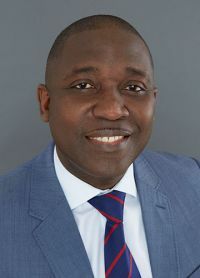 Edward holds a degree in Economics and Law from the Kwame Nkrumah University of Science and Technology in Ghana, where he was born, before moving to London in 2000 to study for his Chartered Accountancy. Edward is a fellow of ACCA and holds an MBA from Oxford Brookes University. Edward first joined the NFWI in 2007 as the Senior Finance Officer and was later promoted to Finance Manager, a position he held until 2013 when he joined the British Cardiovascular Society (BCS) in a similar role before returning to NFWI in January 2018 to take up the position of Head of Finance. Edward works with the finance team across the organisation and advises the board on finance and management issues. Edward enjoys running/walking, reading and also volunteers in his local church.